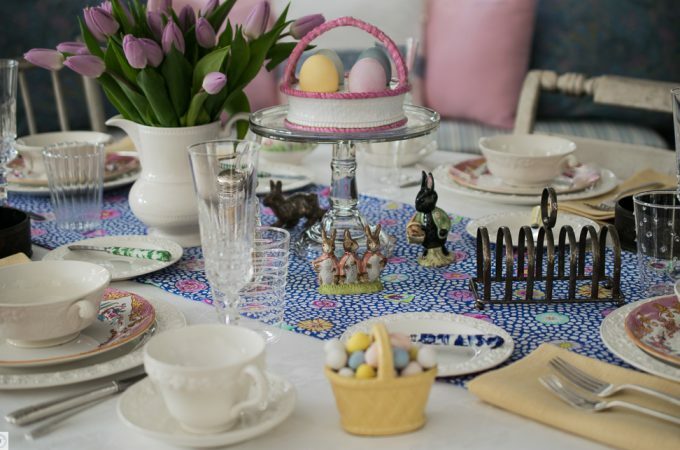 The Easter Table is set for Brunch at Mead Meadow. Special thanks to Cynthia Clainos for the beautiful runner, a very special birthday gift, from a very special friend. We love to use the Eco-Kids Egg Coloring Kit to color our eggs. It is a small company in Maine specializing in non-toxic art supplies for kids…. 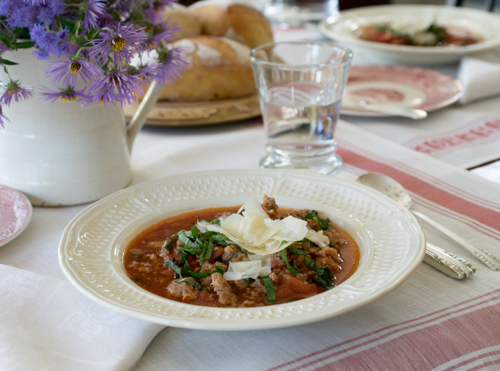 This year we included our Vaillancourt collection in our Christmas Tablescape at Mead Meadow. 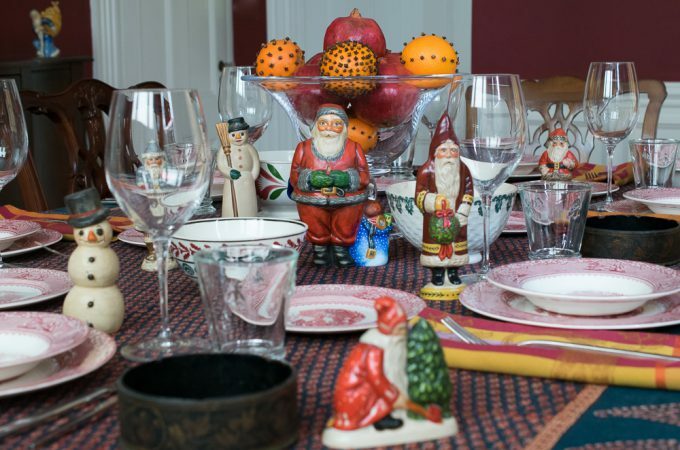 I have been collecting these beautiful hand painted chalkware Santas and Snowmen for over twenty five years, and I look forward to bringing them out for Christmas every year. Hope you all have a wonderful Holiday filled with family and friends…. Dinner at Mead Meadow. 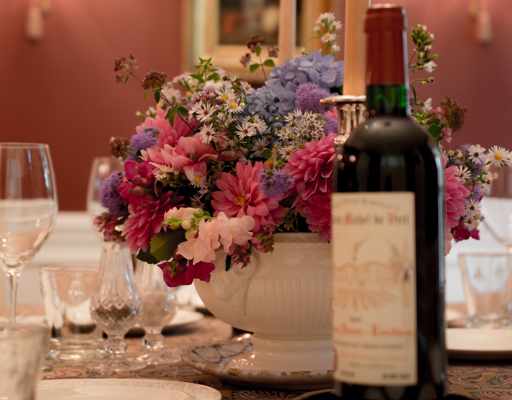 First dinner of fall with flowers from the garden and a nice Bordeaux to go with the rack of lamb.